Godzilla isn't just a Kaiju that's the king of the monsters. Godzilla doesn't just spend its time mindlessly destroying the world with its atomic breath in brain-numbing American remakes that no one should spend two hours watching. Or, fine, Godzilla is that in America. But in Japan, Godzillarepresents so much more. 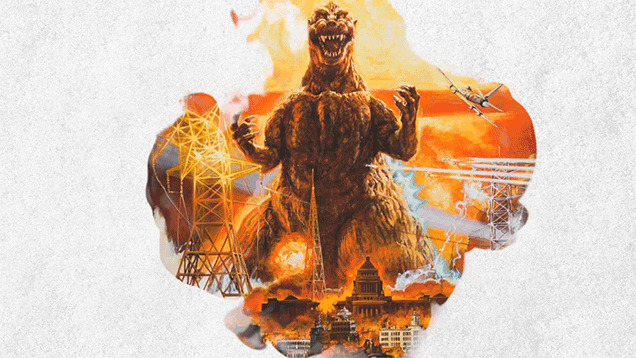 Kaptain Kristian's latest video examines the original Gojira (Godzilla in Japanese) movie and what the monster represented (psst, the atomic bomb) and how the Japanese people coped with living in a world that could be shredded at any time. Godzilla's head was a mushroom cloud, and its skin wasn't covered in scales but rather made to look more like keloid scars of survivors of the nuclear bomb. The original movie told a story about the fear and anxiety of post-war Japan as much as it did about Godzilla. The American version, well, did not. By changing up the storyline by inserting an American reporter, playing down the emotional impact of the destruction, and just plain ignoring the original intent of the film, the American version of Godzilla lobotomized itself into becoming a much simpler movie: watch big monster destroy. It's disappointing that follow-up movies to Godzilla ended up following the American disaster movie rather than the much more powerful film from Japan.